Here we have another fun crafting projecting and this is for making a unique Gingerbread man ornament that is half eaten!! This one would make a great tree decoration or stocking stuffer. 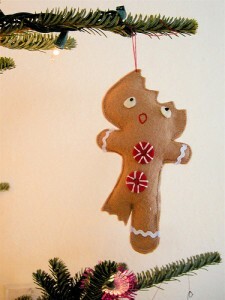 You can get the free pattern here for making a Half Eaten Gingerbread Man Ornament Decorations.